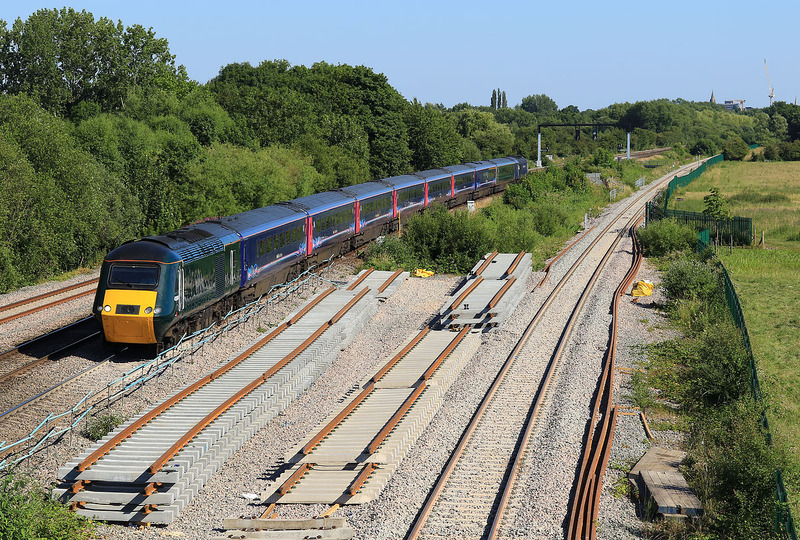 43004 passes Wolvercote on 25 June 2018 with the 1W31 15:22 Paddington to Great Malvern GWR service. This just typifies the appalling level of service passengers on the Cotswold Line can now expect. Despite leaving London on time, it managed to become nearly half an hour late. This late running got worse, and then the train was terminated at Worcester Shrub Hill.